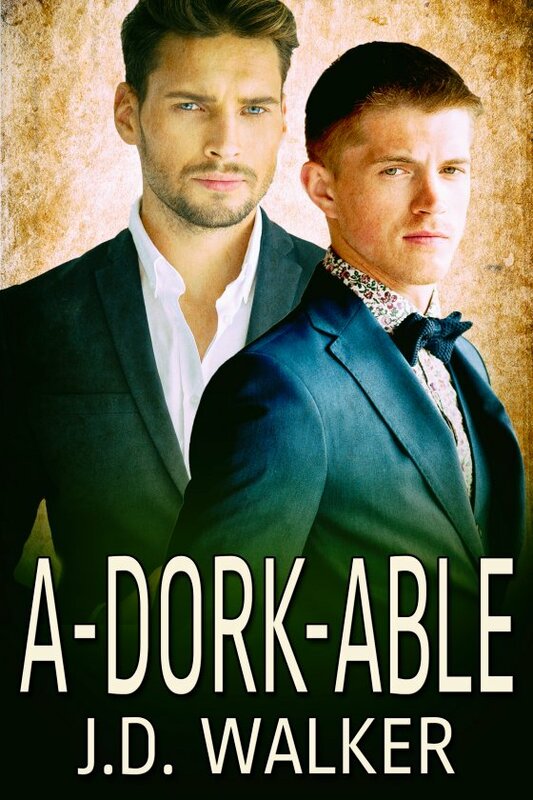 A-dork-able by J.D. Walker is now available! Alister Redgrave knows he’s a dork. He dresses in ill-fitting suits and trips over imaginary obstacles constantly; then there’s his Star Trek underwear. Still, he hopes to find the love of his life one day. And when he meets Jaiden Greyson, the new Assistant CFO in the Finance department, Alister knows he’s found his dream guy. Except, Alister makes a fool of himself repeatedly in front of Jaiden and decides he doesn’t have a chance in hell. Jaiden Greyson doesn’t know what to make of Alister when he meets him. A more klutzy guy had never existed. But despite all that, there’s something about the man that draws him in, and he’s determined to find out what it is, no matter the antics of a jealous coworker intent on ruining everything. Jaiden has Alister in his sights, and Alister won’t know what hit him, in the best sense.